In the last decade, developing good relations with Kazakhstan has become an ever more important priority for the European Union — driven by Kazakhstan's growth as an energy supplier and the country's rising profile on the international scene. At the same time, Europe has become increasingly significant for Kazakhstan as a leading economic partner and a source of inspiration in terms of providing potential models for the economic, social and political modernization of the country that is advocated by President Nazarbaev. In this context, the Kazakhstan Chairmanship of the Organisation for Security and Cooperation in Europe (OSCE) in 2010 will be an important event for the emerging relationship between the European Union and Kazakhstan. The OSCE, however, currently faces almost overwhelming difficulties resulting from the lack of consensus among Participating States about the nature and direction of the organization- notably in regard to Russian-led opposition to key elements of the organization's 'human dimension' activities (especially election monitoring). It is essential therefore for the future of the OSCE that 2010 is a year marked by the consolidation and development of the organization rather than one in which disunity is further magnified. The Kazakhstan Chairmanship offers considerable opportunities for the country itself, for the OSCE and for the further positive development of the broader relationship between the EU and Kazakhstan. But if Kazakhstan's Chairmanship is to make the maximum contribution to the Organisation and to meeting the current and emerging security challenges in OSCE area, the European Union will need to develop a more proactive engagement with Astana ahead of and during the Chairmanship. The countries of the EU played an important role in the decision in December 2007 to award Kazakhstan the Chairmanship of the OSCE. Subsequently, the EU has taken a lead in helping Kazakhstan to develop the capacity necessary to conduct a successful Chairmanship and in reminding Astana of the commitments that it made in Madrid in order to gain the Chairmanship. These are useful steps but alone they are not sufficient. Kazakhstan has set itself the ambitious goal of promoting a European form of development. The OSCE Chairmanship is viewed in Astana as a part of this long term goal. An enhanced European Union engagement should, therefore, focus on the immediate priorities of the OSCE Chairmanship but should take account of the longer term and strategic significance of Kazakhstan's emerging role and external orientation in Eurasia. The European Union and Kazakhstan: From the earliest years of independence, European Union countries have been active in developing cooperation with Kazakhstan. Shortly after the collapse of the Soviet Union, larger EU member states were quick to establish embassies in the country. In 1994, the European Commission Delegation was opened in Almaty, providing support for relations with Kazakhstan as well as to other countries of Central Asia. The Delegation offices served as the local base for the application of the range of assistance programmes offered by the EU in Kazakhstan during the 1990s (notably TACIS and TEMPUS). In 1999, Kazakhstan was among the first of the states in the region to conclude a Partnership and Cooperation Agreement with the EU. Despite these initial steps, for much of the 1990s the relationship between Kazakhstan and the European Union was underdeveloped and the country was not a priority for the Union as a whole in terms of its external relations. 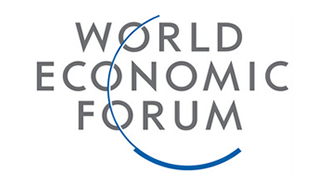 At the same time, as Kazakhstan began the commercial exploitation of its extensive hydrocarbon resources, individual EU countries became more active alongside the engagement of European energy concerns and other companies seeking out opportunities afforded by rapid economic growth in the country. By the early part of this century, the relationship between Kazakhstan and the EU had begun to move to a new level. The acceleration of growth rates in Kazakhstan as various energy projects came on stream, the onset of the US-led intervention in Afghanistan, and the re-emergence of the Russian Federation as an actor in Central Asia together edged the Union closer to strengthening its relations with Kazakhstan, and to the countries of Central Asia in general. The main thrust of this enhanced engagement has been a steady intensification of political contacts. The EU and Kazakhstan have established a Cooperation Council that met for the tenth time in September 2008. In July 2005, the EU appointed the first European Union Special Representative for Central Asia, including Kazakhstan. In 2007, EU relations with Kazakhstan were integrated and strengthened within the context of 'The EU and Central Asia: Strategy for a New Partnership' initiative and through the subsequently agreed national priority document adopted early in 2008. Under the framework of the Strategy, Kazakhstan and the European Union have also initiated a regular human rights dialogue. Following the adoption of the EU Strategy for Central Asia, there has been a noticeable increase in the tempo of high level contacts between EU and Kazakhstani officials. Kazakhstan has looked on the adoption of the EU Strategy positively and participated actively at the EU-Central Asia Security Forum in Paris in September 2008. In addition, Kazakhstan is part of the 'Baku Initiative', a mechanism for policy dialogue on energy issues between the EU and the countries of the Black Sea, South Caucasus and Central Asia. The growing relationship between the EU and Kazakhstan has not, however, been restricted to the political sphere. The EU is the first trading partner of Kazakhstan whilst Kazakhstan is the 29th partner of the EU. EU trade with Kazakhstan is increasing rapidly. The EU imports are dominated by energy products (over 75% of the total). Reflecting this, Kazakhstan is actively investing in infrastructure projects, notably in the South Caucasus and Black Sea region, to facilitate its energy relationship to the Union, as well as looking to the EU to help the country to diversify its exports and broaden the base of its domestic economy. The growing importance of the European Union-Kazakhstan relationship has not however been a one-sided affair. Indeed, in many respects it has been Kazakhstan that has been pushing for more substantial ties with Europe. From the earliest years of independence, the Kazakhstan authorities have stressed the Eurasian character of the new nation-state — an acknowledgement of the 'European' social and political dimensions of the country's makeup. 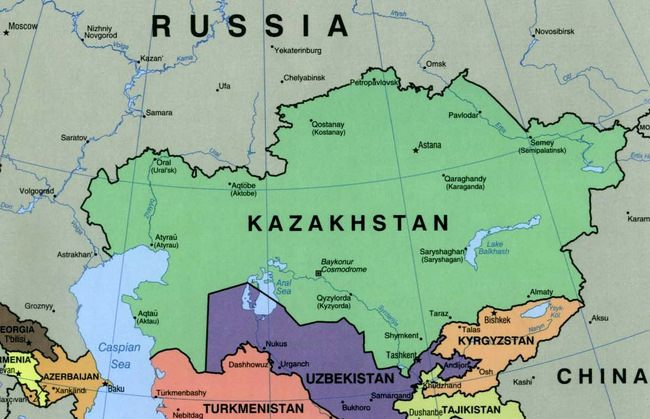 Kazakhstan shares a long border with Russia and is home to millions of ethnic Russians, Ukrainians, Germans and other European communities. Initially, the Eurasian focus of Astana was upon maintaining good relations with the Russian Federation. In recent years, Kazakhstan has sought to reach beyond Russia to build a stronger European component to its external relations. Behind this shift are changing political, commercial and geopolitical realities — notably in the energy and security spheres. As a result, Astana has sought to develop a range of closer ties to Europe including seeking observer status at the Council of Europe, exploring the possibility of a relationship to the EU European Neighbourhood Policy and pursuing the Chairmanship of the OSCE. Building on these initiatives, Kazakhstan has recently published the State Programme 'The Path to Europe'. The programme is an ambitious set of policy proposals designed to transform the country over the coming years. While the initiatives identified in the programme may indeed serve to move Kazakhstan forward, the political ambition underpinning the strategy is perhaps more important than some of the actual policy proposals at this stage. The programme sets out a future path for the country based upon achieving European standards and building stronger links with the EU and individual European countries as the means to achieve modernisation. Running through all of these issues is the question of energy. Kazakhstan has become a leading oil producing and exporting nation. There are also significant prospects for gas exports. At present, much of Kazakhstan's energy experts are channeled northwards through the Russian Federation. Astana is keen to diversify its exports routes to diminish is dependence on Russian export routes. At the same time, the EU is anxious to diversify its energy supplies and is looking to energy transit routes across the South Caucasus and Caspian Sea. There is thus a common interest between Brussels and Astana to develop closer ties around energy. Against this background, it will be important for both sides to find a common approach and understanding in respect to political, social and cultural issues to reinforce the energy relationship. The EU and the Kazakhstan OSCE Chairmanship: The last decade has seen a confluence of factors that has pushed the European Union and Kazakhstan closer together. This evolving relationship thus provides an important broader context for the EU and Kazakhstan to approach the Chairmanship of 2010. Against this background, the Chairmanship takes on a particular significance. It is an opportunity not only for Kazakhstan to play a leading international role and to help to move the OSCE beyond the impasse that seems increasingly to mark the organization; it is also a chance to strengthen the European dimension of Kazakhstan's domestic and international politics and thereby to consolidate further the expanding EU-Kazakhstan relationship. Kazakhstan's Chairmanship of the OSCE could be important for a number of reasons. Kazakhstan will be the first of the Central Asian (and indeed former Soviet) republics to take on the mantel of leading the organization. Such a move will do much to counter accusations that the OSCE is unbalanced in its political makeup — in the past 'the East' has been viewed by some as being essentially the object of Western interference. As a country located in the East, Kazakhstan will bring new perspectives to the difficulties confronting the organization and Astana could play a vital role in finding new ways forward for the OSCE. At the same time, leading the organization will focus international attention on Kazakhstan's own commitments as an OSCE Participating State, and on the need for Astana to fulfill the pledges made in Madrid regarding domestic reform as part of the agreement on the award of the 2010 Chairmanship. Achieving the potential of the Kazakhstan Chairmanship will not, however, be easy. The dynamic and challenging international environment — including unresolved issues such as Kosovo, South Ossetia, and Abkhazia, the question of Russia's role in Eurasia, NATO enlargement, Afghanistan and the global financial crisis — will place a considerable strain on the Chairmanship. At the same time, Kazakhstan will have to face up to the domestic challenge of promoting the human dimension reforms it has pledged itself to implement as part of its Chairmanship. If Kazakhstan is to make the most of the opportunity of the Chairmanship, it will need the support and active engagement of the European Union to meet these challenges. To date, the EU has focused its assistance on capacity building — through training officials — while reminding Kazakhstan of the commitments that were made in Madrid. This is useful but insufficient to make the most of the strategic opportunity afforded by the Kazakhstan Chairmanship. The EU should already, ahead of the Kazakhstan Chairmanship, begin an active dialogue with Astana on concrete and common agendas for the Chairmanship. Three possible areas of cooperation suggest themselves. The conflict in Georgia in the summer of 2008 has had a fundamental impact on the security situation in Eurasia and beyond. The significance of the events is still being assessed and in particular there is considerable speculation and concern about the future role of Russia in regard to its neighbours. Russia justified its intervention in terms of the protection of minorities and of Russian citizens (many of whom had received Russian passports only recently as a result of Moscow's 'passportization' policies in the region). Such claims have caused alarm in the countries neighbouring Russia and especially in those with substantial Russian minorities (inter alia Kazakhstan and Ukraine). The conflict in Georgia has, as a result, refocused attention on potentially unstable areas in the region such as the Crimean peninsula in Ukraine. Kazakhstan, with the support of the European Union, could take the lead in building consensus with the OSCE region on the legitimate means to address the issues raised in respect to Russia's intervention in Georgia. The OSCE High Commissioner on National Minorities has recently produced a set of guidelines in precisely this area — the Bolzano/Bozen Recommendations on National Minorities in Inter-State Relations. These recommendations could serve as the basis for an essential debate within the organisation about how to proceed in terms of managing interstate relations within Eurasia in the future. A second area where the EU and Kazakhstan could work closely is on how best to deal with the radicalisation of groups, including nationalist and religious communities, to the point where they are prepared to engage in violence, and in particular how to avoid this process and to promote deradicalisation. Faced with the growing challenge of extremist violence, Participating States have developed their own responses, frequently these have relied upon counter terrorist approaches employing surveillance, coercion, incarceration and counter insurgency as the essential elements. A growing body of literature has questioned the effectiveness of such approaches and their negative impact on civil and political liberties. Instead, comprehensive methods need to be developed focused on the early phases of radicalisation. The development of effective methods to counter violent radicalisation and to promote deradicalisation would need to draw upon, in an integrated way, all of the dimensions of OSCE approach to security. The common challenge around this issue, both East and West, and the wide experience across the region suggest that such an approach could command broad support amongst Participating States. Finally, the EU can make a contribution to assisting Kazakhstan to abide by the obligations it took upon itself in the human dimension in Madrid in 2007 and more broadly help the country to achieve its OSCE commitments. In the past, much of the work by the OSCE to assist in the development of new legislation in Kazakhstan has faced considerable difficulties, and has rarely been implemented in an effective fashion. An issue that cannot be avoided is, thus, not just the development of new legislation but the strengthening of Rule of Law in the country. Given the political sensitivity of reform within Kazakhstan, it is important that this issue does not become a major source of contention that undermines the Kazakhstan Chairmanship. The EU should be frank, but discrete, in its dialogue with the authorities in Astana about the need to introduce genuine change in line with the expectations created by the commitments undertaken by Kazakhstan in Madrid. Moreover, these measures should not be seen as one-off issues but rather as the first steps in a broader, durable and long term process of opening up and modernising Kazakhstan politically, economically and socially. The Kazakhstani authorities will clearly have to lead in taking seriously and implementing the commitments that have been made but the EU can facilitate these reforms. By supporting Kazakhstan's ambitions to achieve a European form of socio-economic development — as set out in the Path to Europe — the EU can assist to set in place the structural basis for a modern, pluralist and more open society. A strong political signal from the EU–perhaps inviting Kazakhstan to participate in the Eastern Neighbourhood initiative or elements of the European Neighbourhood Policy — coupled with the practical and technical assistance that the country will need in the future, would do much to ease the introduction of sensitive domestic reform and provide the EU with stronger leverage to encourage Kazakhstan to live up to its European ambitions.